Off Point Lookout the Manta Rays will have returned and dolphins with new calves may sometimes be sighted. Koala breeding season is in full swing over summer. This is a time of increased activity and movement on the ground between trees, particularly from around November to January, and extra care should be taken when driving near koala habitat during this time especially around all the townships, Myora and along the road to Amity. The breeding season commences around July-August and can extend through until around April-May. Migratory bird numbers are peaking as the last of the juveniles arrive from their breeding grounds in Siberia and Central Asia. 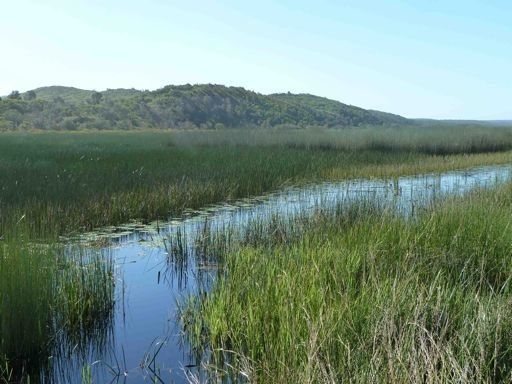 This is a great time to check out Dunwich’s Bradbury Beach high tide roost (early in the day before disturbance) and the tidal wetlands at Amity and Swan Bay. Birds to look for include Eastern Curlew, Whimbrel, Bar Tailed Godwit and Grey Tailed Tattler. Many woodland trees including Brush box, Blackbutt, Pink Bloodwood and Euodia are in blossom. Midyim and many boronias are also summer flowerers. Look out for Paper Daisies flowering on the dunes and Coast Banksia on the headlands. From late November to late January Loggerhead Turtles are breeding and laying eggs on the island’s ocean beaches. If you are out walking early on the beach and sight turtle tracks please notify the island wildlife carers so the nest site can be monitored and protected. The calls of the migratory Channel-billed Cuckoos and Eastern Koel add to the island’s beautiful birdsong soundscape dominated by honeyeaters, lorikeets, kookaburras (and cicadas!) over summer. 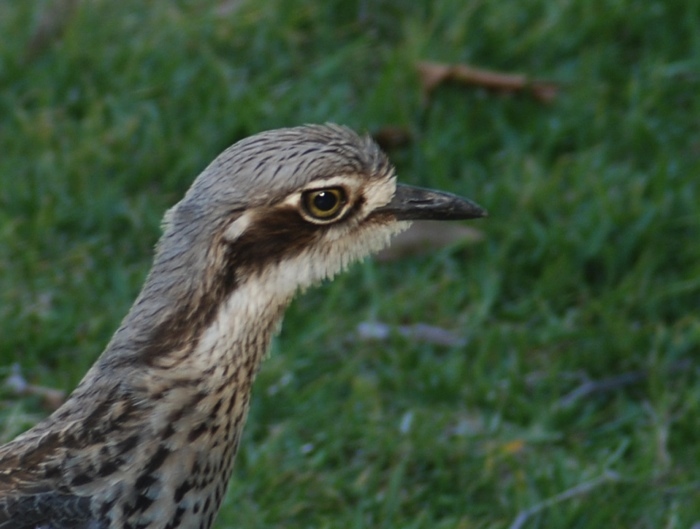 Bush stone curlew breed over summer and their courting duets are often heard at night. Look out for Dollarbirds which have arrived from PNG to breed perching prominently on the tops of trees. 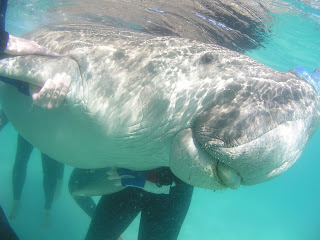 In January dugongs are herding and breeding in Moreton Bay. On days when the Bay is very placid dugongs are sometimes spotted from the ferries. Straddie’s only east-west migratory shorebird, the Double Banded Plover arrives from New Zealand – this little bird is often spotted on Flinders Beach and Main Beach.